Want to buy your family a good bidet? In this article, we are going to help you choose the best bidet toilet seat for yourself by bidet toilet seat comparison. We will also brief you about what these bidet seats are and how they work. So, stay put and keep reading. Why should you choose a bidet toilet seat? How to clean a bidet? Bidets are something that is being researched on and studied to a great extent due to the hygiene claims they make. If we look at the use of bidets throughout the world, we see they have been accepted and are extensively being used in almost all parts of the world. On the other hand, if we look at the use of bidets in the USA, we see that neither they have been accepted a lot nor they are being used properly. One of the main reason for this is that people want to stick to the way they have grown up with but some people, who want to change the habits, are put off by the extra plumbing cost that comes with bidets. Full-size bidets require proper plumbing on the back end, toilets that have been constructed before the arrival of bidets on the market, don’t have these kinds of pipe which then requires breaking of the toilet wall. Most of the people are not up for this inconvenience. Fortunately, based on the cliché “necessity is the mother of invention” bidet toilet seats were constructed. These seats replace your toilet seats and connect to the existing water supply. You don’t have to put in extra plumbing cost, you don’t have to seek professional help to install the bidet toilet seat, and the best part is, these toilet seats are mostly self-cleaning. These bidet toilet seats are made such that they go with your existing bathroom attire and they don’t stand out. You wouldn’t feel any difference. The best part is that they are not very bulky, so while sitting on them, you are as comfortable and as at home as you were with your previous toilet seat. To understand that you need to understand what a bidet is. The truth is there are different types of bidets. Basically, a bidet is a faucet, which is an extendable, flexible pipe and a button that activates the water flow. This is attached to a plumbing line similar to a faucet and is attached on the wall beside your toilet seat or on the tank of your toilet. Now coming to a bidet toilet seat, it is a combination of a bidet and a toilet seat. Although it is a little expensive as compared to an old style bidet, it is hassle free and very convenient. This seat (bidet toilet) is a replacement of your previous toilet seat. It is designed such that the bidet attachment is permanently attached with the toilet seat. This toilet seat then goes on the ceramic toilet. Some of the bidet toilet seats have only rear nozzle while some have both back and frontal nozzle. These toilet seats are very comfortable and are not bulky at all. They are made of polymer mostly. The bidet attachment part of the toilet seat is also made with polymer, but the inside structure is made with the brass of ceramic to prevent any kind of corrosion. Moreover, the bidet attachment insides are always under water pressure which is why they need to be durable and sturdy. If this is the first time you want to try a bidet, you can start by using a simple bidet attachment. Apart from all the features mentioned above, the seat comes with valves and hoses that need to be attached to a water supply. Like all other products, bidet toilet seats also come with different features that can vary with companies. Some have two nozzles, for a frontal and rear wash. Some have a warm water supply along with pressure control. One feature that everyone should look for in a bidet toilet seat is the nozzle self-cleaning. It can save you a lot of time and effort. If you look at the statistics and study them, you will see on average an American uses at least 57 sheets of toilet paper in a day and even then, the toilet paper leaves a residue that can convert into diseases and infections. This was the health hazard that comes with using toilet papers. Coming to environmental hazards that the use of toilet papers poses. Just for the sake of production of toilet papers more than fifty million trees are cut down every year. Can you even imagine the kind of adverse effects this cut down of trees might be causing? The second environmental hazard is the pollution it causes. Even though the tissues are degradable, they take a considerable time to degrade. They choke the gutter tunnels as well as they also constitute a large part of the solid waste that is being deposited into oceans. Another problem with toilet papers is their cost. An average toilet paper roll costs $3, and only in America 34 billion rolls are used every day. The rest you can calculate. In comparison to this, bidets are very reasonable and very eco-friendly. The average cost of a bidet is $300 and that is about it. You don’t need to use any money on maintenance for years and trust me you don’t have to change your bidet for years either. This is 80% less cost as compared to toilet papers. Now coming to why should you use a bidet toilet seat? 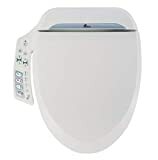 A bidet toilet seat is an advanced version of a full-size that does not require any extra plumbing not do they require any kind of professional help for installation. They are less messy, they are very hygienic and help you clean the front and rear area to the last residue. It helps you take your hygiene up a notch. Moreover, once you see the culture results after using a toilet paper and after using a bidet or a bidet toilet seat, you will never look back at the toilet paper again. Hence, there are 100 reasons to choose a bidet toilet seat over toilet paper. A bidet toilet seat is attached to your toilet and is used as a toilet seat replacement. They either come in the electric form or non-electric form. Both of them have their own way of working and both have a different working procedure as well. We will explain the working of both types. 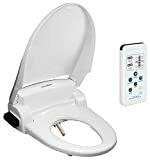 The electric bidet toilet seats have waterproof wiring and need to be connected to the electric supply at all times. 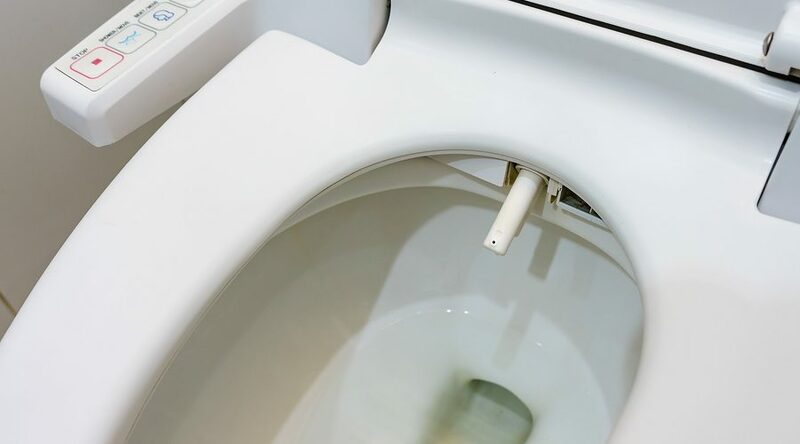 Before using an electric bidet toilet seat, make sure you have turned on the switch and the electric supply wire is connected. All electric bidet toilet seats come with a remote control that is used to operate the bidet and it’s working. There will be two or more than two buttons on the remote control depending on the features present in your bidet. There would be a water supply or activation button that you can turn on by pushing. The next thing is either the angle of the nozzle or the pressure control. These features are common in all kinds of bidet toilet seats. The feature that is usually not available in all is the hot and cold-water option. If your electric bidet has this option, then one or two more buttons will be added to the remote control. A non-electric bidet comes without the remote and has the main body on the right side of the toilet seat. These usually don’t have buttons rather have knobs for turning the water supply on, changing the temperature and changing the water pressure. A normal and basic bidet toilet seat has at least two knobs, one for turning the water on and off and the other one for choosing the right pressure. If you have added extra features like a self-cleaning nozzle or hot and cold water, another knob is added to the bidet attachment on the side. A bidet toilet seat is constructed mainly in such a way that it does not require any specific kind of plumbing. It simply attaches to the already present plumbing lines or the water supply to the flush tank. 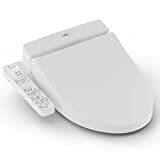 Since the product we are talking about is a bidet toilet seat and is not a bidet attachment, the first thing you need to do is unscrew the previous toilet seat. Some toilet seats have plastic screws so make sure you don’t ruin the screw lines, or you will have to buy new screws. After you are done unscrewing the toilet seat, just place the bidet toilet seat on the toilet and see if it fits properly. The next step is to attach the bidet attachment of the toilet seat to the water pipe. Here you need to see, if your bidet is only for cold water you are good to go but if it is for both cold and hot water you will need two pipe attachments. The cold water can be connected to the flush tank pipe but for the hot water, you need a connection between the hot water hose. 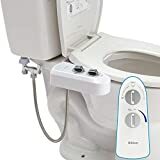 Some bidet toilet seats come with pressure pumps to regulate the pressure in the bidet, for that you have to connect the water pipe to the pressure pump first and then another water pipe goes from the pressure pump to the bidet. These connections are made via T-valve that are already present in the package. Usually, the water pipe also comes with the bidet toilet seat. 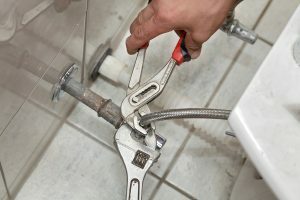 Once all the water pipes and wires (in case if an electric bidet toilet seat), the last step is to connect the screws and fix the toilet seat. Make sure you tighten up the screws properly, so the seat does not wiggle as it can trap the skin and injure you. If your bidet nozzle does not have a self-cleaning option, it is advised that you clean your bidet once a month. All bidet toilet seats are made with plastic and polymers, cleaning them with bleach or harsh acids might ruin the outlook and may also hinder the working of its inner components. Furthermore, this may affect the durability of the toilet seat and the bidet attachment. The cleaning process of the bidet is very easy and simple. The first thing you need to do is unplug your device in case you have an electric bidet. if you don’t do this, you might end up ruining all connections and it can also result in a fire when the connection is established again. To make the cleaning solution add 2 cups water, 5 tbsp. dishwashing or anti-bacterial soap and 2 tbsp. of vinegar. This makes an anti-bacterial cleaning liquid. Add it to a spray bottle and spray it on your toilet seat as well as the nozzle. Be generous, keep spraying till it is soaking wet. After that leave it for an hour or so. After letting it sit, spray it again with the same liquid, put on some gloves and start cleaning the seat and nozzle with a micro-fiber cloth. Once you are done with the process, you will see a huge change in the cleanliness of your bidet and the toilet seat. Clean the main part of your bidet with a wet microfiber cloth. If you want to use an alcohol-based or a chemical-based cleaner from the market, make sure to wash your bidet and toilet seat with large volumes of warm water, otherwise, any residue might result in a skin rash. Apart from this, if you have a spray nozzle, cleaning it with a need for better water spray is a good option. Another thing you can do for cleaning the spray area is that you can spray it with a generous amount of concentrated white vinegar. Later you can clean it with warm water. Make sure you keep the bidet clean and hygienic as it will not only make it durable but also save you the hassle of cleaning different parts. This electric bidet toilet seat by BioBidet has a sleek and dandy streamline design which is constructed to maximize comfort, convenience and customer satisfaction as well. It comes with a dual nozzle feature that provides better rear and frontal cleaning. It comes with a remote control to activate the water, change the water pressure as well as to manage the temperature of the water and the seat. Yes! You heard me right, it has warm water as well as a seat heating options (we reviewed best heated bidet seats for you as well) that won’t make you jump due to a cold toilet seat in the winters. Behold! The best part is still waiting, it has a massage feature included with bubble infusion that massages you on the push of the button. All these amazing features make you want to stay on the seat for as long as possible. The best part is it is not expensive! Read our review for it here. It comes with three years warranty on the parts of the toilet seat as well as on the construction. It has seat heating feature added. It is two nozzles for both rear and frontal part. It has massage therapy feature. Check other Bio bidet Products. 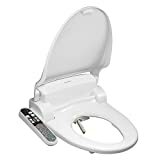 This reasonable electric bidet toilet seat comes with many variations of the basic features that are included in the bidets. It comes with a small remote control that helps you control all the operations of the bide toilet seat. It has been added to the list of best bidet toilet seats due to its reasonable price and high-quality materials used in it. These materials make it durable and sturdy. It can go on for years without malfunctioning or breaking. It has pressure control, nozzle adjustment and temperature feature. There are five different modes of pressure from lowest to highest. Then it offers three different water temperatures and five different nozzle positions so that you might adjust everything according to your convenience. Moreover, it has an energy saving mode that saves electricity and water both. It has an easy installation guide and is very easy to install as well. The energy saving mode helps in saving energy and water. It has a warm air dryer which helps in drying the area. There are three different temperature options for water. It is constructed such that it can be installed as a DIY. The dryer is not very effective. See also our reviews for Smartbidet bidets. Toto has been in the business for the last 100 years and is a very trusted and renowned brand in every area of their business. It is one of the best Japanese bidet brands. Same goes for bidet toilet seats. This particular electronic bidet is from their luxury range which is why it is quite expensive, but the features make it worth the price. It makes your toilet experience no less than a spa. It provides a warm water stream that is comfortable as well as provides good precision and cleaning. It has seat warming options as well. The water sprays are electrolyzed which provides better cleaning. It is a smart toilet seat that opens when you go near it and closes as you leave it. The water heating system is instantaneous, so you don’t have to provide an external hot water supply. The best part is its illuminating feature that helps you find your toilet in the dark without stumbling and tumbling on a different thing. All these features make it one of the best bidet toilet seats on the market. Check to read our in-depth review for this TOTO s350e. It has instantaneous water heating, so you don’t have to give an external water supply. It does not spray out a harsh stream of water. It has an automatic lid opening and closing ability. Has illumination which helps you find the toilet in the dark. It is relatively expensive when compared to other bidet toilet seat on the market. Click to know other great TOTO bidets. This bidet toilet has made its way to the top due to its high-end features and beautiful sleek design that will shine in your toilet. It is from the luxury range of BioBidet and does justice to all the luxury claims made by the company. The nozzle is made with pure steel and provides a very accurate yet gentle stream that leaves no residue behind. It has hybrid heating and has a motor attached with the nozzle that provides convenient and small adjustments according to your needs. The nozzle has an added HydroFlush technology that is patented to the BioBidet. It helps in removing all the dirt and impurities from the nozzle. Another thing added to the nozzle is vortex stream. This has two options, a cleaning, and residue removing stream for rear wash and a gentle stream from the frontal wash. Another amazing feature added to this is the night light that has a cool blue color, and along with this, there are touch panels on the side of the seat for easy access. This is apart from the wireless remote control. You can check this review to know more about this fabulous bidet. Wash is bubble infused which is gentle and effective at the same time. It has a warm air dryer as well. It comes with a nozzle replacement. The night light only illuminates the buttons, not the whole toilet seat. This basic yet amazing and highly durable bidet toilet seat is a low budget product, yet it is on the list of best bidet toilet seats due to its versatile features and durability. SmartBidet has been in the business for a long time and makes very reasonable yet durable products. This bidet toilet seat is no less. It has five different levels of water pressure. You can keep it lowest for your children and mid-level for yourself. The highest one is usually very fast. Apart from this, you can also change the nozzle directions. It has five different directions it can be set on; these directions are chosen very carefully and thoughtfully which is why one of them always works perfectly for you. Apart from this, it also has temperature adjustability. You can set the water flowing out at three different temperatures. Which makes this ideal as in winters you cannot bear to stand the touch of cold water. Last but not least, it has air dryer added to it for toilet paper free drying after the wash. It completely eliminates the need for toilet papers. It has five different levels of water pressure. It completely eliminates the need for toilet paper. It has an energy saving mode that helps in saving energy as well as water. It has a warm air dryer added to it. The T-valve is not of very good quality. This toilet seat is for anyone who needs a low budget product just for the sake of trying. If you are new to the world of bidet toilet seats and want to try it just to know if it works for you or not, then this product is for you. It is durable, it is sturdy, and it does not cost much. This is why it was added to the list of best bidet toilet seats. 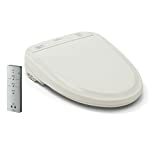 It is a non-electric basic bidet toilet seat that has a self-cleaning option as well. It has two separate nozzles, one for rear cleaning and one for frontal cleaning. It has only one water temperature and has a sleek design that goes perfectly with all kinds of toilets. 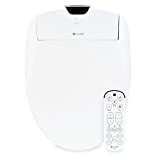 This bidet toilet seat package includes all the necessities for installation and comes with a very easy to understand and clean installation guide, with the help of which you can install the toilet seat within 15 minutes without the help of any professional. All the accessories are either made with brass or stainless steel. Provides very good features at a low price. The cover does not stay open and fall on your back when you sit on the toilet. This completely customizable luxury toilet seat will leave you in awe with its best bidet toilet seat kind of features. It has a very beautiful and luxurious look and is very user-friendly as well. The Brondell Company has constructed this particular product after years of research and testing which is why they were able to introduce something perfect and amazing to the market. They have made cleaning more effective and healthy by not compromising on the eco-friendly feature of the bidet. The settings are customizable according to user needs, the flow of water, the temperature, the water pressure and everything else, once selected are saved to the device and every time you use the toilet it provides you with the same features you selected the last time. It comes with dual stainless-steel nozzles that keep the nozzles intact for a long time and also help in proper cleaning. It has a very effect warm air dryer that helps in eliminating any need for toilet paper and dries all the wet parts efficiently in less time. Moreover, it has a deodorizer installed that is replaceable. It is basically an activated charcoal block that absorbs all the odor and prevents the odor from spreading in the bathroom. It has a heated seat; the temperature is set by the user. Gentle close lid option is added to it. It comes with seven different nozzle positions. Has a water heating system added to it? Sometimes the programming gives an error for two different users. See also our picks for best Brondell bidets. Toto is one of the best and most trusted brands in the washlet industry. This product is no less, it is not only reasonable but provides ideal features and this product legit deserves to be in the best bidet toilet seat list. It has a side panel remote that helps you to configure your settings according to your needs. Before using the toilet, it sprays a mist all over the toilet, which provides a very healthy and hygienic environment and prevents any solid parts from sticking on the toilet bowl. It provides a very gentle yet accurate water stream which has infused bubbles. These infused bubbles prevent any residue buildup but also don’t feel very harsh on the skin. The toilet seat is designed and contoured to have a warm seat that doesn’t make you feel uncomfortable while sitting on it especially in the winters. At the back of the toilet seat, it has an air deodorizer to prevent bad odor from spreading in the toilet as well. It has bubble infused water stream. Comes with seat heating options. It is slightly small for people with large bodies. Bidet toilet seats are growing in popularity due to the luxurious features they provide and the feasibility and functionality they offer. If you look at it and compare the numbers with the cost that is posed by the use of toilet paper throughout the year, this is a very reasonable and economical option and is a onetime cost. It does not require maintenance and other changes over time. Moreover, most of the bidet toilet seats come with one to three years warranty which encompasses almost all parts. So, in case there is a defect you can get it changed without any cost. 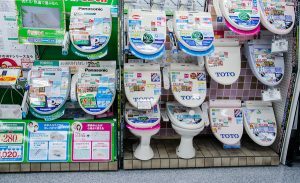 This article was all about helping you find the best bidet toilet seat for your bathroom by different bidet toilet seat comparison.